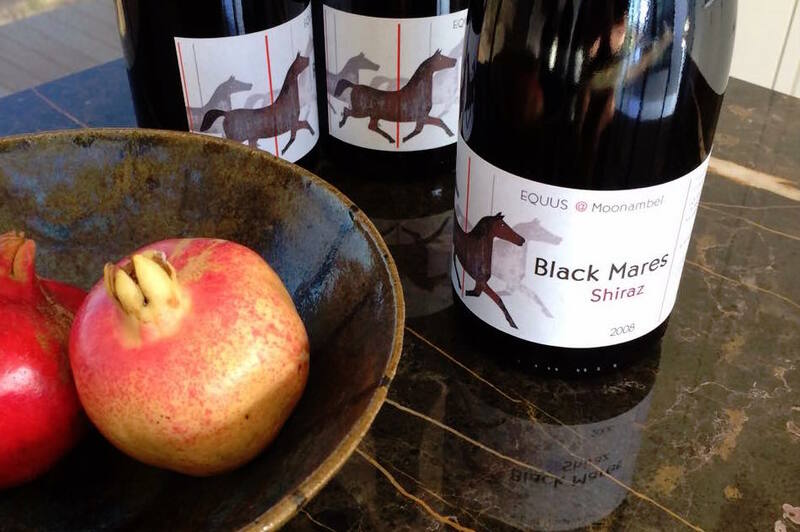 The 2008 Black Mares Shiraz is 100% Shiraz grapes grown at the Equus @ Moonambel vineyard. A first vintage is always something special. When you get over the pain of filling bins with grapes, you realise you have something special. The grapes were delivered to Eastern Peake and Owen Latta produced a wine that came out of the barrel after a comparatively short time of one year. We have reserved 6 bottles for family occasions and 8 years later we are still drinking a wonderful wine. SOLD OUT. The 2015 vintage will be released in 2017.